With 236 episodes across 10 seasons, 62 Primetime Emmy nominations, 6 iconic characters and 12 years later after it last aired, ‘Friends’ still remains the most loved television sitcom of all time. The producers often referred to it as ,’just a TV show’, but the profound impact it has on relationships at all levels speaks for itself; its secret is hidden in its simply-crafted title and the magic of love the show eternally spins. 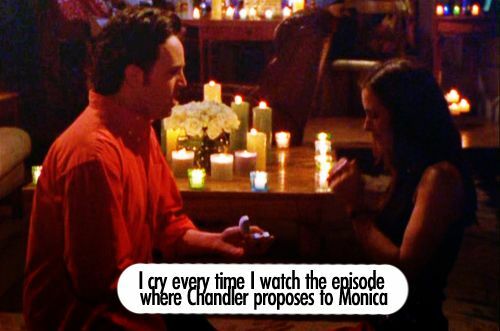 Iconic moments on the show are many, like the one where Phoebe has the triplets on the 100th episode, when Richard and Monica ‘fall in love’, when Joey is moving out and hugs Chandler in the door… ok, the list is endless. We are focusing on the ‘love’ moments though. These are the moments that had us falling in love, with the characters and their stories and everything in between. 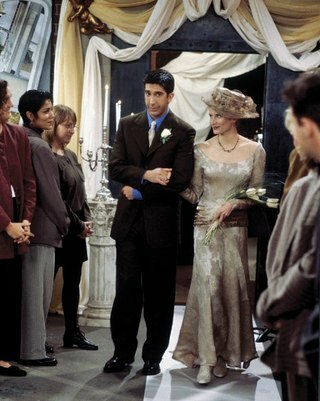 The very first of the many love moments on the show was when after much ado about nothing, Ross and Rachel finally kiss. This is the moment that set the show on a decade-long journey of the Ross-Rachel mania that that had us rooting for television's most beloved couple to find their happily ever after with each other. 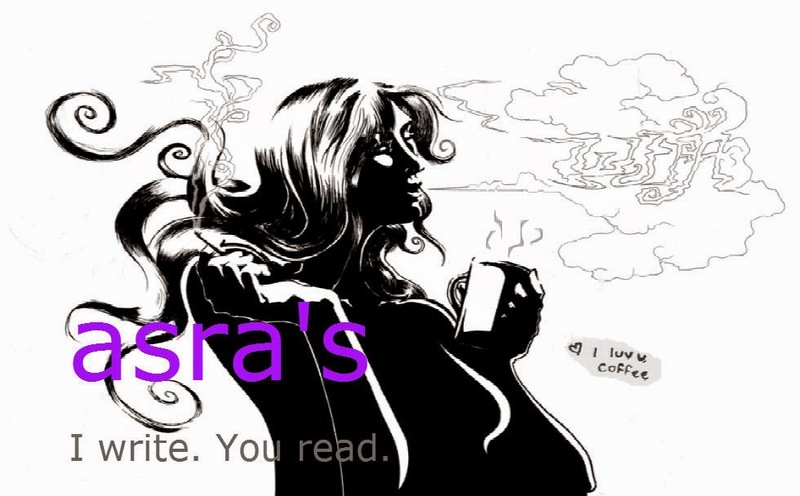 The second major love event was in strike contrast to the first. As the couple danced around in London and New York, hooking up and falling in love in a hushed and quiet way, fans were also secretly rooting for them to make it work. Chandler gifting the old edition of ‘The Velveteen Rabbit’ to Kathy, who was (then) Joey’s girlfriend was a moment that showed us it is ok to screw up and fall for your best friend’s girlfriend. Because, no one can control who you fall in love with. Coming at a time when the characters of the show were at the point in their life when one is reaching towards stability, the proposal gave the group a rock with the pairing of the group’s mother hen with the group’s clown. The balance they gave each other was the show’s stability point from then on. 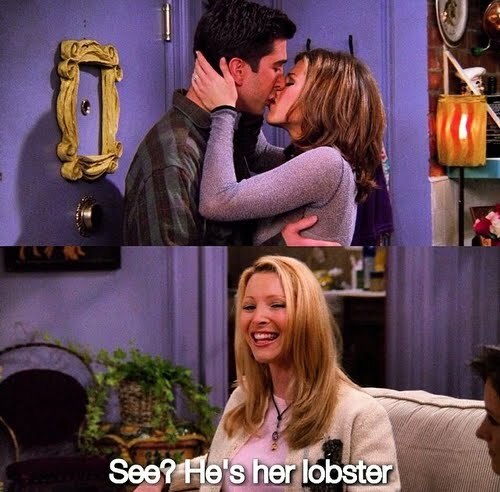 Through Phoebe's endless dalliances and loves, we never thought she would snag a man quite as cute and normal as Mike. There couldn’t have been a more appropriate “opposites attract” moment with this couple. Phoebe had suffered long enough; she needed her happy ending and Mike was “the one”. 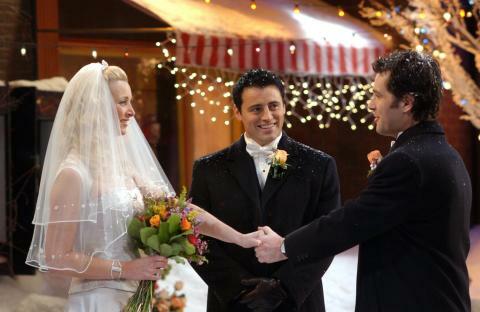 Let’s not forget the snow capped Central Perk in front of which the wedding was held! 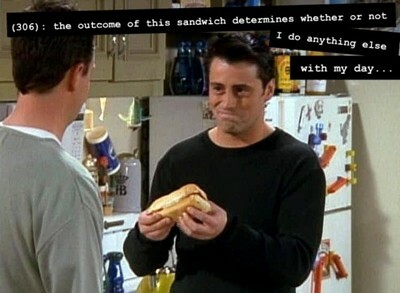 Joey’s love for sandwiches is probably the truest of all loves. Joey’s string of lovers might come and go but, the sandwiches were there…always! Even when he had to “save” a life, he opted to save his sandwich. If that’s not pure love, what is? On a serious note though, Joey falling for Rachel brings out the reality of relationship dynamics people go through when being in a close-knit group such as these six. Things happen and yes, friends fall in love. Joey’s love was an intense crush; to an extent that Rachel could have been the ‘one’ for him. However, their love is the symbol of friendship at its purest. Hands down they had the most solid relationship on the show. Their wedding was a reminder of the bond Ross shares with Carol—some love stories are above marriage. 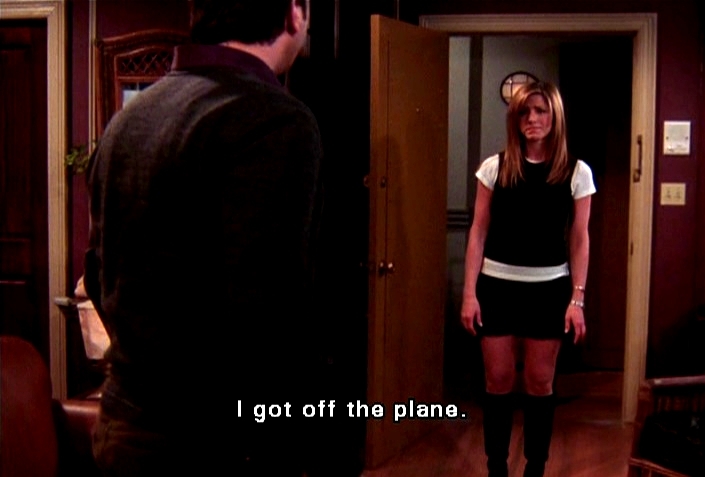 This moment formed the “circle of life” for the show; after ten long years of breakups and patch ups and “going on a break”, audience received the closure they deserved and romance reached its epitome when Rahcel “got off the plane”.